Monte Carlo simulation of response of radiation detectors, . Radiation induced effects in materials, . Mukesh Prasad, G. Anil Kumar, S. K. Sahoo, R. C. Ramola, "Health risks associated with the exposure to uranium and heavy metals through potable groundwater in Uttarakhand state of India", Journal of Radioanalytical and Nuclear Chemistry, 319 (2019) 13-21. V. Ranga, S. Rawat, Snigdha Sharma, Mukesh Prasad, S. Panwar, Kalyani, M.Dhibar, G. Anil Kumar. "Intrinsic resolution of Compton electrons in CeBr3 scintillator using compact CCT". IEEE Trans. on Nucl. Sci., 65 (January 2018) 616-620. M. Dhibar, I. Mazumdar, P. B. Chavan, S. M. Patel, G. Anil Kumar, "Characterization of a 2 × 2 array of large square bars of LaBr3:Ce detectors with gamma-rays up to 22.5 MeV", Nucl. Instr. and Meth. in Phys. Res. – A, 883 (March 2018) 183-190. S. Rawat, M. Tyagi, G. Anil Kumar, S. C. Gadkari, "Efficiency studies on Gd3Ga3Al2O12:Ce scintillators: Simulations and measurements", IEEE Trans. on Nucl. Sci., 65 (August 2018) 2109-2113. M. Narsimhulu, G. Anil Kumar, G. Bhargavi, B. Srinivas, K. A. Hussain, "Synthesis, crystal structure, thermal, photoluminescent and magnetic properties of a new material: Na2[Ni(C2O4)2(H2O)2].6H2O", Journal of Molecular Structure, 1178 (2019) 155-161. Mukesh Prasad, G. Anil Kumar, B. K. Sahoo, R. C. Ramola, "A comprehensive study of radon levels and associated radiation doses in Himalayan groundwater", Acta Geophysica, 66 (October 2018) 1223-1231. S. Rawat, Mohit Tyagi, P. K. Netrakanti, V. K. S. Kashyap, A. Mitra, A. K. Singh, D. G. Desai, G. Anil Kumar, S. C. Gadkari, "Pulse shape discrimination properties of Gd3Ga3Al2O12:Ce single crystal in comparison with CsI:Tl", Nucl. Instr. and Meth. in Phys. Res. – A, 840 (December 2016) 186-191. M. Dhibar, D. Mankad, I. Mazumdar, G, Anil Kumar, "Efficiency calibration and coincidence summing correction for a large volume (946 cm3) LaBr3(Ce) detector: GEANT4 simulations and experimental measurements", Applied Radiation and Isotopes, 118 (December 2016) 32-37. Deepika Choudhury, A. K. Jain, G. Anil Kumar, Suresh Kumar, Sukhjeet Singh, P. Singh, M. Sainath, T Trivedi, J. Sethi, S. Saha, S. K. Jadav, B. S. Naidu, R. Palit, H. C. Jain, L. Chaturvedi, and S. C. Pancholi, “Multiple anti-magnetic rotation bands in odd-A 107Cd”, Phys. Rev. C, 87(March 2013) 034304. I. Mazumdar, D.A. Gothe, G. Anil Kumar, N. Yadav, P. B. Chavan, S. M. Patel, "Studying the properties and response of a large volume (946 cm3) LaBr3:Ce detector with g-rays up to 22.5 MeV", Nucl. Instr. and Meth. in Phys. Res. – A 705 (March 2013) 85-92. Manisha Mohil, G. Anil Kumar, “Gamma Radiation Induced Effects in TeO2 Thin Films”, Journal of Nano-And Electronic Physics, Vol. 5 No 2, (May 2013) 02018. I. Mazumdar, D.A. Gothe, G. Anil Kumar, M. Aggarwal, “Shape transitions and isovector giant quadrupole resonance decay in hot rotating nuclei”, Acta Physica Polonica B 42 (March 2011) 643-652. K. Hadynska-Klek, P.J. Napiorkowski, A. Maj, F. Azaiez, J.J. Valiente-Dobon, G. de Angelis, G. Anil Kumar, D. Bartolato, D. Bazzacco, P. Bednarczyk, M. Bellato, G. Benzoni, L. Berti, B. Bruyneel, F. Camera, M.Ciemala, P.Cocconi, A. Colombo, A. Corsi, F. Crespi, A. Czermak, B. Dulny, E. Farnea, B. Fornal, S.Franchoo, A.Gadea, A. Giaz, A. Gottardo, X. Grave, J.Grebosz, M.Gulmini, H. Hess, R. Isocrate, G.Jaworski, M. Kicinska-Habior, M. Kmiecik, N. Kondratyev, A. Korichi, W. Korten, G. Lehaut, S.Lenzi, S.Leoni, S.Lunardi, G. Maron, R. Menegazzo, D.Mengoni, E.Merchan, W.Me¸czy´nski, C.Miechelagnoli, P.Molini, D. Napoli, R.Nicolini, M. Niikura, M.Palacz, G. Rampazzo, F.Recchia, N. Redon, P.Reiter, D. Rosso, E. Sahin, J.Srebrny, I. Stefan, O. Stezowski, J.Stycze´n, N.Toniolo, C.A. Ur, V. Vandone, B.Wadsworth, A.Wiens, K. Wrzosek-Lipska M.Zieli´nska, M.Zieblinski, “Refinement of 42Ca level scheme. Preliminary results from the first AGATA demonstrator experiment”, Acta Physica Polonica B 42 (March 2011) 817-824. I. Mazumdar, G. Anil Kumar, D. A. Gothe, R. K. Manchanda, “A LaBr3(Ce)-NaI(Tl) phoswich for X-ray and low energy g-ray astronomy”, Nucl. Instr. and Meth. in Phys. Res.–A 623 (November 2010) 995-998. G. Anil Kumar, I. Mazumdar and D. A. Gothe, “Efficiency calibration and coincidence summing correction for large arrays of NaI(Tl) detectors in soccer-ball and castle geometries”, Nucl. Instr. and Meth. in Phys. Res. – A 611 (November 2009) 76-83. G. Anil Kumar, I. Mazumdar and D. A. Gothe, “Experiments measurements and GEANT4 simulations for a comparative study of efficiencies of LaBr3, NaI(Tl) and BaF2”, Nucl. Instr. and Meth. in Phys. Res. – A 610 (November 2009) 522-529. G. Anil Kumar, I. Mazumdar and D. A. Gothe, “Efficiency calibration and simulation of a LaBr3(Ce) detector in close-geometry”, Nucl. Instr. and Meth. in Phys. Res. – A 609 (October 2009) 183-186. I. Mazumdar, D.A. Gothe, G. Anil Kumar, M. Aggarwal, P. K. Joshi, R. Palit, H. C. Jain, “Search for rare shape transition and GQR decay in hot rotating 188Os nucleus”, Acta Physica Polonica B 40 (March 2009) 545-553. A. Maj, F. Azaiez, D. Jenkins, Ch. Schmitt, O. Stezowski, J.P. Wieleczko, D. Balabanski, P. Bednarczyk, S. Brambilla, F. Camera, D.R. Chakrabarty, M. Chelstowska, M. Ciemala, S. Courtine, M. Csatlos, Z. Dombradi, O. Dorvaux, J. Dudek, M.N. Erduran, S. Ertürk, B. Fornal, S. Franchoo, G. Georgiev, J. Gulyás, S. Harissopoulos, P. Joshi, M. Kici?ska-Habior, M. Kmiecik, A. Krasznahorkay, G. Anil Kumar, Suresh Kumar, M. Labiche, I. Mazumdar, K. Mazurek, W. M?czy?ski, S. Myalski, V. Nanal, P. Napiorkowski, J. Peyre, J. Pouthas, O. Roberts, M. Rousseau J.A. Scarpac, A. Smith, J. Strachan, D. Watts, M. Zieblinski, “The PARIS project”, Acta Physica Polonica B 40 (March 2009) 565-575. G. Anil Kumar, S. L. Sharma and R. K. Choudhury, “Ballistic deficits for ionization chamber pulses in pulse shaping amplifiers”, IEEE Trans. on Nucl. Sci. 54 (April 2007) 333-341. S. L. Sharma, G. Anil Kumar, R. K. Choudhury, “Some studies on the pulse-height loss due to capacitive decay in the detector-circuit of parallel plate ionization chambers”, Nucl. Instr. and Meth. in Phys. Res. – A 566 (October 2006) 540-551. P. Ganguly, J. C. Biswas, S. K. Lahiri, M. L. Nandagoshami, G. Anil Kumar, and S. L. Sharma, “Effects of gamma irradiation on erbium indiffused lithium niobate substrate” Journal of Optics 34 (2005) 145-152. S. L. Sharma, G. Anil Kumar and H. N. Acharya, “Optoelectronic properties of mercuric iodide crystals for radiation detection” Indian Journal of Pure and Applied Physics 42 (September 2004) 653-665. Efficiency of CeBr3 detector: Simulations and measurements using a positron emitter, S Panwar, V Ranga, G. Anil Kumar, DAE International Symposium on Nuclear Physics (Govt. of India), Vol. 63 (2018) 1198. Study of Compton electrons in LaBr3:Ce using compact CCT, S. S. Kaintura, V. Ranga, S. Panwar, P. Sehgal, G. Anil Kumar, DAE International Symposium on Nuclear Physics (Govt. of India) Vol. 63 (2018) 1082. Studies on angular correlation of gamma rays using GEANT4, V. Mendiratta, V. Ranga, S. Panwar, G. Anil Kumar, DAE International Symposium on Nuclear Physics (Govt. of India), Vol. 63 (2018) 1154. Growth and scintillation properties of Tl doped LiI single crystal: A fast thermal neutron scintillator, Kalyani, S. Rawat, Awadh K. Singh, G. Anil Kumar, Mohit Tyagi, DAE International Symposium on Nuclear Physics (Govt. of India), Vol. 63 (2018) 1132. An improvement of the pulse shape discrimination properties of Gd3Ga3Al2O12:Ce single crystal scintillator, S. Rawat, Mohit Tyagi, G. Anil Kumar, DAE International Symposium on Nuclear Physics (Govt. of India), Vol. 63 (2018) 1130. Gamma ray spectrometric analysis of natural radionuclides in soil of Uttarakhand, India, Mukesh Prasad, G. Anil Kumar, R. C. Ramola, presented in 6th International Geo-hazards Research Symposium held during 4-9 March, 2018 in Dresden, Germany. Radiological and chemical risk assessment from the exposure to uranium and heavy metals in drinking water, Mukesh Prasad, G. Anil Kumar, R. C. Ramola, presented in 6th International Geo-hazards Research Symposium held during 4-9 March, 2018 in Dresden, Germany. Analysis of natural radionuclides in soil using High Purity Germanium detector based Gamma Ray Spectrometry, Mukesh Prasad, V. Ranga, G. Anil Kumar, R. C. Ramola, presented in International Conference (IARPIC-2018) on “Developments towards Improvements of Radiological Surveillance at Nuclear Facilities and Environment” held during 16-20 January, 2018 at BARC, Mumbai. Studies on effect of coincidence time window on intrinsic energy resolution of NaI(Tl) Detector", V. Ranga, Snigdha Sharma, S. Rawat, G. Anil Kumar, DAE Symposium on Nuclear Physics (Govt. of India), Vol. 62 (2017) 1108. A new phoswich design of CsI:Tl /GGAG:Ce,B scintillators for pulse shape discrimination", S. Rawat, M. Tyagi, G. Anil Kumar, S. C. Gadkari, DAE Symposium on Nuclear Physics (Govt. of India), Vol. 62 (2017) 1106. Pulse shape discrimination properties of boron co-doped GGAG:Ce scintillator for charged particles and gamma rays, S. Rawat, M. Tyagi, Y. K. Gupta, D. C. Biswas, G. K. Prajapati, R. P. Vind, R. V. Jangale, B. V. John, G. Anil Kumar, S. C. Gadkari, DAE Symposium on Nuclear Physics (Govt. of India), Vol. 62 (2017) 1110. Efficiency calibration of CeBr3 scintillator in close-geometry: Simulations and measurements, G. Anil Kumar, A. Bhagwat, S. Panwar, Snigdha Sharma, V. Ranga, S. Rawat and M. Dhibar, presented in IEEE Nuclear Science Symposium and Medical Imaging Conference held in Atlanta, USA during 21-28 October 2017. Intrinsic resolution of NaI(Tl) using PIXIE-4 data acquisition system, V. Ranga, Snigdha Sharma, S. Rawat, M. Dhibar, G. Anil Kumar, presented in IEEE Nuclear Science Symposium and Medical Imaging Conference held in Atlanta, USA during 21-28 October 2017. Radiation dose derived from the exposure to attached and unattached progeny of radon and thoron in Garhwal Himalaya. Mukesh Prasad, Peter Bossew, G. Anil Kumar, Rosaline Mishra and R. C. Ramola, Proc. 13th National DAE-BRNS Symposium on Nuclear and Radiochemistry (NUCAR-2017), ISBN : 81-8372-080-3, Page No. 668-669. The radiological and chemical risk assessment from the exposure to uranium and heavy metals in drinkable groundwater, Mukesh Prasad, G. Anil Kumar, R. C. Ramola, presented in 2nd National Conference on Radiation Awareness and Detection in Natural Environment (RADNET-II) held during 25-27 September, 2017 in Gurukul Kangri Vishwavidyalaya Haridwar, Uttarakhand, India. A comparative study of radon levels in Himalayan springs and hand pumps using scintillation detector based RnDuo and semiconductor detector based RAD7 monitors, Mukesh Prasad, G. Anil Kumar, B.K. Sahoo, R. C. Ramola, presented in 20th National Conference on Solid State Nuclear Track Detectors and Their Applications (SSNTDs-20) held during 26-28 October, 2017 at Vidya Vikas Institute of Engineering and Technology, (VVIET), Mysuru, India. Dose assessment from the exposure to thoron and its progeny in the indoor environment, Mukesh Prasad, G. Anil Kumar, R. C. Ramola, presented in 20th National Conference on Solid State Nuclear Track Detectors and Their Applications (SSNTDs-20) held during 26-28 October, 2017 at Vidya Vikas Institute of Engineering and Technology, (VVIET), Mysuru, India. Efficiency studies on Gd3Ga3Al2O12 scintillators: Simulations and measurements, S. Rawat, M. Tyagi, G. Anil Kumar, S. C. Gadkari, presented in SCINT-2017 held in France during 18-22 September 2017. Activity Measurements of Co-60 Using Modified Sum-peak Method, S. Rawat, M. Dhibar and G. Anil Kumar, 20th National Seminar on Crystal Growth and Applications, BARC, Mumbai, (2016) 274. Measurement of cross sections and S factors for d(p,)3He at astrophysically relevant energies, M. Dhibar, G. Anil Kumar, I. Mazumdar,_ A. K. Rhine Kumar, S. M. Patel, P. B. Chavan, C. D. Bagdia, K. V. Thulasi Ram, W. A. Fernandes, and L. C. Trivedi, Proceedings of DAE Symposium on Nuclear Physics (Govt. of India), 61 (2016) 874. Intrinsic resolution of Compton electrons in LaBr3:Ce and LaCl3:Ce detectors using Compton Coincidence Technique, Snigdha Sharma,V. Ranga, M. Dhibar, S. Rawat, G. Anil Kumar, Proceedings of DAE Symposium on Nuclear Physics (Govt. of India), 61 (2016) 1020. Pulse shape discrimination in Boron codoped Gd3Ga3Al2O12(Ce) and CsI(Tl): A comparative study, DAE Symposium on Nuclear Physics (Govt. of India), S. Rawat, Mohit Tyagi, V. K. S. Kashyap, P. K. Netrakanti, A. K. Singh, D. G. Desai, A. Mitra, G. Anil Kumar, S. Sen, S. C. Gadkari, 61 (2016) 1064. GEANT4 Simulations and Experimental Measurements of Absolute Source Activity using modified Sum-Peak method, Monalisha Dhibar, I. Mazumdar, G. Anil Kumar, presented in 2015 IEEE Nuclear Science Symposium and Medical Imaging Conference, held at San Diego, USA. Studies in Lanthanum Bromide detectors, I. Mazumdar, S. Basu, P.B. Chavan, D.A.Gothe, S.M.Patel, S.Roy, M.Dhibar, G Anil Kumar, M.W.Ahmed, A. Kafkarkou, J.M. Mueller, L.S. Myers, M.H. Sykora, H.R. Weller, W.R. Zimmerman, presented COMEX-5, held at Krakow, Poland. Observation of rare shape-phase transitions in hot and rotating 192Pt nucleus, I. Mazumdar, M. Dhibar, D.A. Gothe, P.B Chavan, G. Anil Kumar, A.K. Rhine Kumar, P. Arumugam, DAE Symposium on Nuclear Physics (Govt. of India), 60 (2015) 114. Timing measurements with LaCl3(0.9%Ce) detectors and their application in the measurement of speed of light, S. Rawat, A. Kamboj, G. Anil Kumar, DAE Symposium on Nuclear Physics (Govt. of India), Vol. 60 (2015)1056. Standardization of gamma sources using NaI(Tl) and LaBr3(Ce) detectors: Measurements and Simulations, N.Goel, M. Dhibar, G. Anil Kumar, DAE Symposium on Nuclear Physics (Govt. of India), 60 (2015) 1024. Close-geometry efficiency calibration of LaCl3:Ce detectors: Measurements and Simulations, K. Thakur, S.K. Anand, S. Mittal, Abhishek, M. Dhibar, G Anil Kumar, DAE Symposium on Nuclear Physics (Govt. of India) 60 (2015) 1034. Characterisation of an array of large square bars of LaBr3:Ce detectors up to 22.5 MeV, I. Mazumdar, S. Basu, P.B Chavan, M. Dhibar, D.A Gothe, S.M. Patel, S. Roy, G. Anil Kumar, DAE Symposium on Nuclear Physics (Govt. of India) 60 (2015) 1082. Growth and characterization of SrI2:Eu scintillators, Monalisha Dhibar, G. Anil Kumar, S.G. Singh, S.C. Gadkari, DAE Int. Symp. on Nuclear Physics (Govt. of India), Vol. 59 (2014) pp. 832-833, BHU, India. First measurement of the response matrix of a large LaBr3:Ce detector up to 30 MeV at the HIγS facility, I. Mazumdar, M.W.Ahmed, A. Kafkarkou, J.M. Mueller, L.S. Myers, M.H. Sikora, H.R. Weller, W.R. Zimmerman, G Anil Kumar, DAE Int. Symp. on Nuclear Physics (Govt. of India), Vol. 59 (2014) pp. 860-861, BHU, India. GEANT4 simulation of scintillation response of Xenon gas to low energy gamma-rays, S. Roy, I. Mazumdar, P.B. Chavan, M. Dhibar, G. Anil Kumar, DAE Int. Symp. on Nuclear Physics (Govt. of India), Vol. 59 (2014) pp. 994-995, BHU, India. True Coincidence Summing Correction in Scintillations Detectors: Measurements and Simulations, Monalisha Dhibar, Chandan Singh, G. Anil Kumar, DAE Int. Symp. on Nuclear Physics (Govt. of India), Vol. 58 (2013) pp. 956-957, BARC, Mumbai, India. Gamma radiation induced effects in TeO2 thin films, Manisha Mohil, G. Anil Kumar, International Symposium on Semiconductor Materials and Devices, pp.42-45, January 31 – February 2, 2013, University of Jammu, India. Novel band structure of odd-A 107Cd, Deepika Choudhury, A. K. Jain, G. Anil Kumar, Suresh Kumar,Sukhjeet Singh,P. Singh,M. Sainath,T. Trivedi,J. Sethi,S. Saha,S. K. Jadav,B. 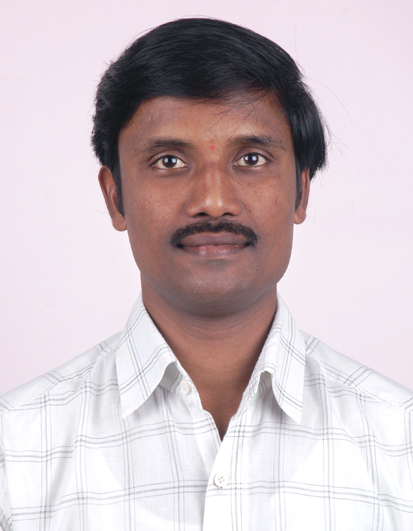 S. Naidu,R. Palit,H. C. Jain,L. Chaturvedi,R. P. Singh, DAE Symp. on Nuclear Physics (Govt. of India), Vol. 57 (2012) pp. 258-259, Delhi University, India. First measurement of high energy 22.5 MeV gamma rays in a large LaBr3:Ce detector, I. Mazumdar, D. A. Gothe, P. B. Chavan, N. Yadav, G. Anil Kumar, DAE Symp. on Nuclear Physics (Govt. of India), Vol. 56 (2011) pp. 1104-1105, Andhra University, Vishakhapatnam, India. Search for Jacobi shape transition in hot rotating 88Mo nuclei with the GDR gamma decay, M. Ciemala, M. Kmiecik, V.L. Kravchuk, A. Maj, S. Barlini, G. Casini, F. Gramegna, F. Camera, A. Corsi, L. Bardelli, P. Bednarczyk, B. Fornal, G. Anil Kumar, M. Matejska-Minda, K. Mazurek, W. Męczyński, S. Myalski, J. Styczeń, B. Szpak, M. Ziębliński, M. Cinausero, T. Marchi, V. Rizzi, G. Prete, M. Degerlier, G. Benzoni, N. Blasi, A. Bracco4, S. Brambilla, F. Crespi, S. Leoni, B. Million, O. Wieland, D. Montanari, R. Nicolini, G. Baiocco, M. Bruno, M. D’Agostino, L. Morelli, G. Vannini, M. Chiari, A. Nannini, S. Piantelli, A. Chbihi, J.P. Wieleczko, I. Mazumdar, O. Roberts and J. Dudek, presented at the Zakopane conference on Nuclear Physics, August 30 – September 5, 2010, Zakopane, Poland. Studies in LaBr3:Ce detectors: Experiments and Simulations, I. Mazumdar, G. Anil Kumar, D. A. Gothe, DAE Symp. on Nuclear Physics (Govt. of India), Vol. 55 (2010) pp. 716-717, BITS Pilani, India. A LaBr3(Ce)-NaI(Tl) phoswich for X-ray and low energy g-rays, I. Mazumdar, G. Anil Kumar, D. A. Gothe, DAE Symp. on Nuclear Physics (Govt. of India), Vol. 55 (2010) pp. 718-719, BITS Pilani, India. GEANT simulation of a new 4pi sum-spin spectrometer at TIFR, G. Anil Kumar, I. Mazumdar and D. A. Gothe, 2008 IEEE Nuclear Science Symposium and Medical Imaging Conference, N17-1, pp. 1640-1642, Dresden, Germany. Development of a real-time gamma dosimeter of high sensitivity, S. L. Sharma, T. K. Maity and G. Anil Kumar, 2008 IEEE Nuclear Science Symposium and Medical Imaging Conference, N02-281, pp. 1066-1068, Dresden, Germany. Simulation of response and efficiency of a new 4-pi sum-spin spectrometer at TIFR, G. Anil Kumar, I. Mazumdar and D. A. Gothe, DAE Symp. on Nuclear Physics (Govt. of India), Vol. 53 (2008) pp. 683-684, Roorkee, India. The 4pi sum-spin spectrometer, I. Mazumdar, D.A. Gothe, G. Anil Kumar, P.K. Joshi, R. Palit, P.B. Chavan, S. Sinha, Y. Arora, and R.D. Chogale, DAE Symp. on Nuclear Physics (Govt. of India), Vol. 53 (2008) pp. 713-714, Roorkee, India. GDR decay from hot rotating 192Pt, I. Mazumdar, G. Anil Kumar, D. A. Gothe, P. K. Joshi, R. Palit and M. M. Aggarwal, DAE Symp. on Nuclear Physics (Govt. of India), Vol. 53 (2008) pp. 281-282, Roorkee, India. Elimination of ballistic deficits for ionization chamber pulses by using trapezoidal pulse shaper, G. Anil Kumar, S. L. Sharma and R. K. Choudhury, 2006 IEEE Nuclear Science Symposium Conference Record, N30-56, pp. 1044-1047, San Diego, California, USA. A simple technique for identifying natural alpha emitters, S. L. Sharma, G. Anil Kumar and R. K. Choudhury, 2006 IEEE Nuclear Science Symposium Conference Record, N30-40, pp. 1012-1016, San Diego, California, USA. Large pulse-height loss due to capacitive decay in the detector-circuit during collection of charges, S. L. Sharma, G. Anil Kumar, D. C. Biswas and R. K. Choudhury, 2006 IEEE Nuclear Science Symposium Conference Record, N30-46, pp. 1028-1031, San Diego, California, USA. Measurements of ballistic deficits for parallel plate ionization chambers, S. L. Sharma, G. Anil Kumar, D. C. Biswas and R. K. Choudhury, 2006 IEEE Nuclear Science Symposium Conference Record, N30-48, pp. 1032-1034, San Diego, California, USA. Some aspects of alpha induced fusion reactions with Al-27, G. Anil Kumar, S. L. Sharma and R. K. Choudhury, DAE Symp. on Nuclear Physics (Govt. of India), Vol. 51 (2006), pp.427-428, Baroda, India. Tellurium dioxide thin film as radiation dosimeter, T. K. Maity, G. Anil Kumar and S. L. Sharma, DAE Symp. on Nuclear Physics (Govt. of India), Vol. 51 (2006), pp.638-639, Baroda, India. Gamma radiation-induced changes in the electrical properties of tellurium dioxide thin films, G. Anil Kumar, T. K. Maity, Ashu Kumar and S. L. Sharma, ICAMMP-2006: International conference on Advances in Materials and Materials Processing, pp. 913-917, I. I. T., Kharagpur. Estimation of ballistic deficits for ionization chamber pulses in pulse shaping amplifiers, G. Anil Kumar, S. L. Sharma and R. K. Choudhury, 2005 IEEE Nuclear Science Symposium Conference Record, N2-8, pp. 49-53, Puerto Rico, USA. Simulation of the effect of capacitive decay of detector-circuit on the detector response, S. L. Sharma, G. Anil Kumar and R. K. Choudhury, 2005 IEEE Nuclear Science Symposium Conference Record, N35-5, pp. 1248-1252, Puerto Rico, USA. Monte Carlo Simulation of the response of some ionization chambers, G. Anil Kumar, S. L. Sharma and R. K. Choudhury, M & C-2005: International Topical meeting on Mathematics and Computation, Supercomputing, Reactor Physics and Nuclear and Biological Applications, American Nuclear Society, pp. 1-10, Avignon, France. Ballistic deficits in main amplifiers with pulse shaping networks for pulses from cylindrical ionization chambers, G. Anil Kumar, S. L. Sharma and R. K. Choudhury, DAE Symp. on Nuclear Physics (Govt. of India), Vol. 50 (2005) p.456, Mumbai, India. Some studies on TeO2 thin films for radiation sensor applications, T. K. Maity, G. Anil Kumar and S. L. Sharma, International conference on MEMS and Semiconductor Nano technology, TM-8.3 (2005) pp. 1-5, I. I. T., Kharagpur. Simulation of the response of a cylindrical ionization chamber, G. Anil Kumar and S. L. Sharma, DAE Symp. on Nuclear Physics (Govt. of India), Vol. 47B (2004) pp. 590-591, Varanasi, India. Monte Carlo simulation of surface barrier detector, G. Anil Kumar and S. L. Sharma, DAE Symp. on Nuclear Physics (Govt. of India), Vol. 46B (2003) pp. 500-501, Mumbai. A novel technique for measurement of natural alpha radioactivity, S. L. Sharma and G. Anil Kumar, DAE Symp. on Nuclear Physics (Govt. of India), Vol. 46B (2003) pp. 498-499, Mumbai, India. Optoelectronic properties of mercuric iodide crystals for scintillation spectroscopy, S. L. Sharma, G. Anil Kumar and H. N. Acharya, National Conference on Materials and Devices (2003), Bareli, India.